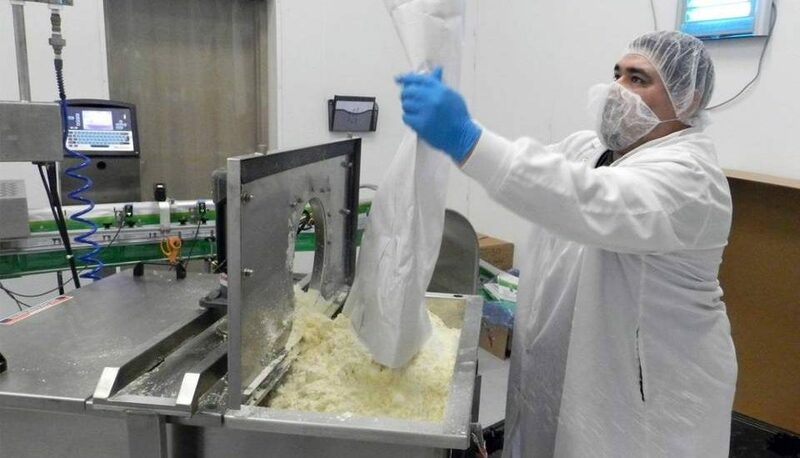 RIPON – The La Belle Inc. plant here makes cattle health products from colostrum, the stuff cows feed their newborns before the regular milk starts flowing. The 30-employee operation could get bigger with its sale last month to PanTheryx, based in Boulder, Colo. The buyer plans upgrades that would make the East Fourth Street plant a bigger player in this low-profile niche of the dairy industry. 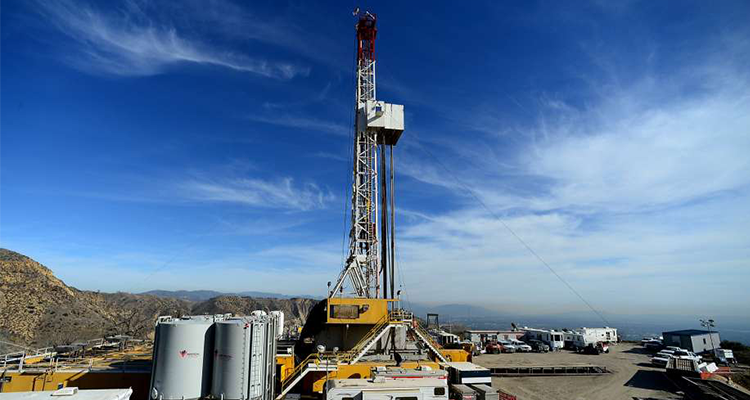 PanTheryx will close the La Belle headquarters plant in Bellingham, Wash., later this year and plans to move many of its 25 employees to Ripon and Phoenix, the Bellingham Herald reported. All mammals produce colostrum, which provides their babies with nourishment and immunity against disease in the hours after birth. The Ripon site buys the excess from more than 500 dairy farmers in California, plant manager John Lehr said during a tour for The Modesto Bee last week. Jim and Michelle Marderosian, owners of Bee Sweet Citrus in Fowler, have pledged $1.5 million to Cal Poly’s new J.G. Boswell Agricultural Technology Center. 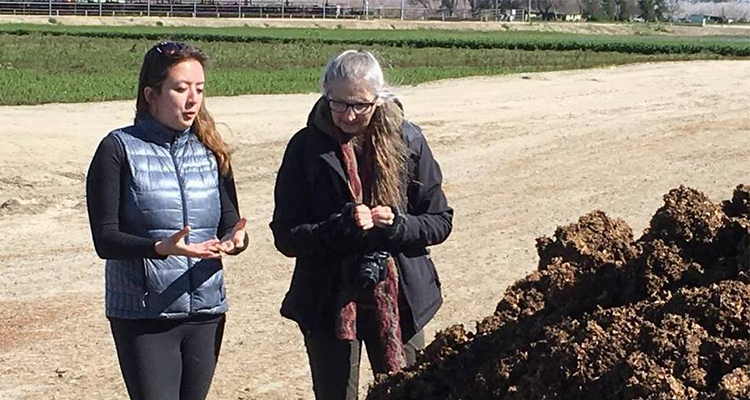 The Marderosians are longtime supporters of Cal Poly’s College of Agriculture, Food and Environmental Sciences and wanted to further their commitment to the university by funding a new plant-pathology lab. The lab will be used to diagnose and explore plant diseases and disease-control strategies. Bee Sweet Citrus, founded in 1987, is a packer and shipper of California citrus and has become an industry leader, shipping navel and Valencia oranges, lemons, grapefruit and mandarins throughout the United States and overseas through export. 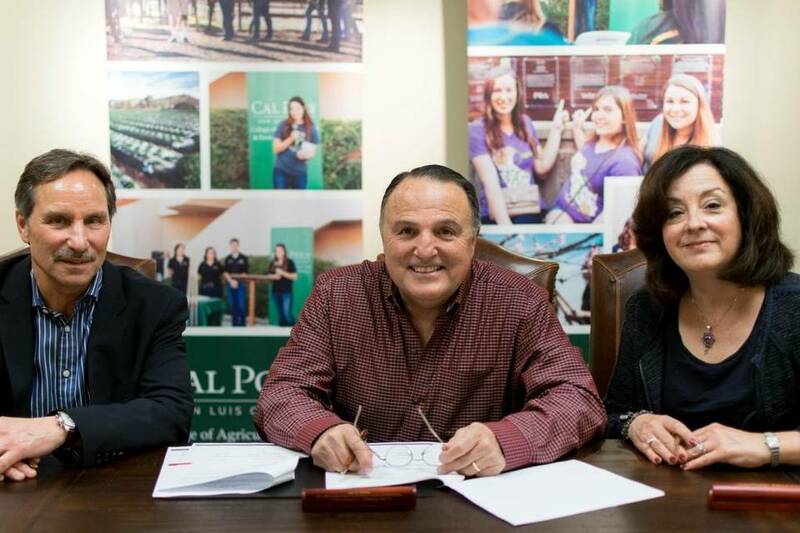 Above: Cal Poly’s College of Agriculture, Food and Environmental Sciences Dean Andrew Thulin, left, with Jim and Michelle Marderosian as they sign the gift agreement pledging $1.5 million to the college’s new J.G. Boswell Agricultural Technology Center. Bee Sweet Citrus Special to the Bee.